I stood in the resin-scented darkroom trying to avoid getting cyanide on my bare feet and craning forward to understand 19th-century photography. 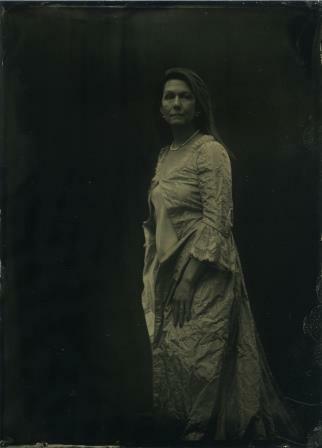 Mark Luscombe-Whyte slipped a photographic plate into a chemical-filled fixer box, and the image bloomed, at first striated, then clearer, like a ghost materialising out of thin air. Reproduced on glass in an antique dress, looking slightly alarmed, I had been photographed using an obsolete method that involved a list of terrifying chemicals. If the silver nitrate at one end of the dark room bench becomes too friendly with the potassium cyanide at the other that would have been curtains for Mark and me. Although he feels sometimes that the complex process controls him, with interesting artistic results, Mark is highly competent as well as passionate about getting it right. EasyJet was my time machine into my family's past. 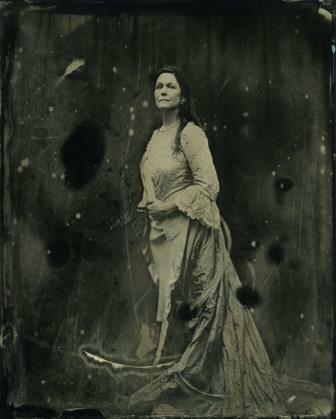 Flying to Montpellier, I was there to find out what it felt like to pose for my great-great-great grandmother the photographer Julia Margaret Cameron. My forebear was born Julia Margaret Pattle in 1815, daughter of the Biggest Liar in India, English judge James Pattle and his French wife Adeline. He was most famous for bursting out dead from his sealed cask on the way home from India, as the sailors had been tapping it for the preservative rum. 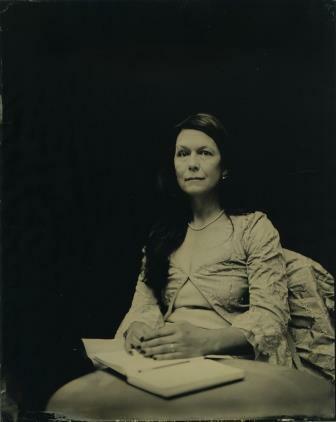 Julia Margaret was a woman of great energy and imagination and, in the way that upper-class British families often treat their more creative members, she was characterised as a bit tiresome. This echo came down the generations - when young and already an admirer, I felt affronted on her behalf. Mind you, I only spent part of one day posing.They had to do a lot more. 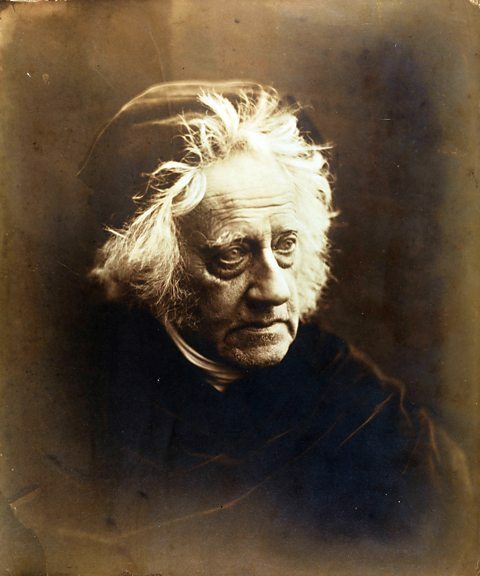 She had a tremendous talent for friendship and, while convalescing in the Cape of Good Hope in 1836, she met the British astronomer Sir John Herschel (1792 - 1871). In 1839 he produced a photographic negative by allowing a very fine deposit of silver chloride to fall out of a water solution onto a sheet of glass. 1839 is credited with being the birth year of commercial photography, and also saw the first selfie - a hot guy called John Cornelius, no doubt updating his courting profile. Herschel also coined the word photography from the Greek meaning 'drawing with light'. 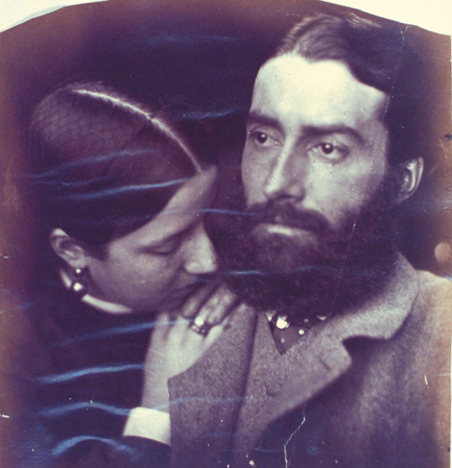 He introduced the young Julia Margaret to the idea of photography in 1842 and they corresponded extensively on the technical side of things. 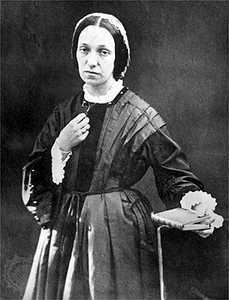 She didn't take it up herself until her beloved only daughter - my great great grandmother Julia Norman - most imaginatively gave her a camera when she was 48 in 1859. From then until her death at 63, she was wildly prolific, original and fascinating in her approach. Rather disliked by the photographic establishment for what they saw as her slapdash lack of focus, she found herself more at home with the Pre-Raphaelite artists of the time. I have watched my own generation of women do exactly what Julia Margaret did, burst into creative life in middle age when family responsibilities slacken off. Indeed my own first novel was published at around the same age. The camera must have been the best present ever, because it launched an artistic career that resonates today and is celebrated in exhibitions all over the world. The Met in New York exhibited her work in 2014. Most recently there were two exhibitions in London, at the V&A and at the Science Museum. If you are quick, you will catch it as it ends 28 March 2016. 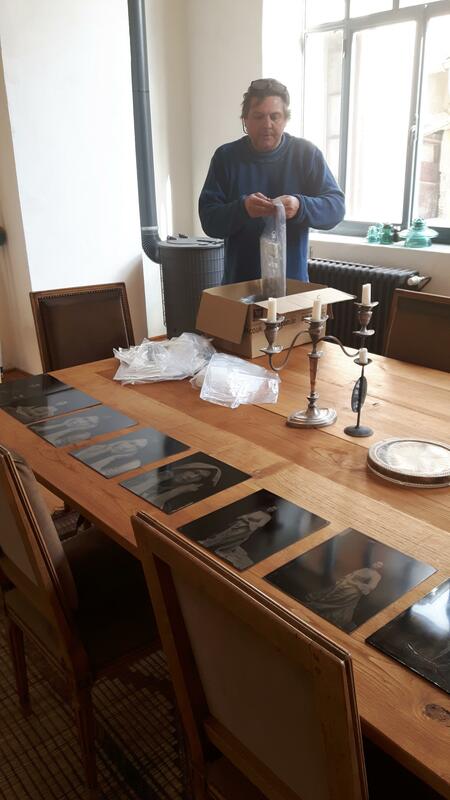 At his home in St Hippolyte-du-Fort, a sleepy town in the foothills of the Cevennes, Mark toils in his dark room, preparing the plates, tipping and pouring collodion, and creating art from an alchemy of sunlight and chemicals. For him the chemistry is of no interest, it is just a means to an end. As a very successful 21st-century photographer, he's usually to be found at the wheel of an upmarket vehicle, dashing around the world shooting luxury properties. Just to make his life difficult, he has gone back to the very origins of photographic art to make portraits. But he isn't a purist. The camera is unimportant, he tells me. It is just somewhere to put the plate for exposure. He used two, one dating from 1939, and one mahogany and leather from 1910. The main difference between his equipment and Julia's would be the lens - sharper and faster than she would have used. Her slower lens accounts for her even longer exposures, and he is considering getting a similar one for more authenticity. Of course we didn't have Julia's chicken house and greenhouse to work in, so we used the yard, washed at angles with oblique sunlight on a chilly March morning. I had stuffed a family dress into my suitcase - a fancy dress costume probably made in the 1880s for my great-grandmother on the other side. It is an exquisite rose pink, embroidered all over with cream rosebuds, and probably meant to be 18th-century in style. I pulled it on over a modern petticoat and Mark produced a head clamp to keep me still for the long exposures. My hair and earrings and the thoughts in my head are entirely 21st century. 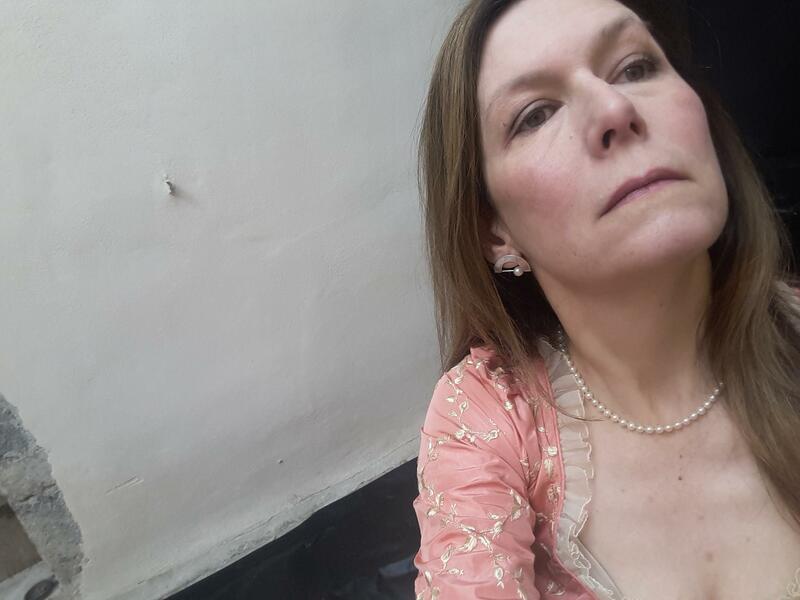 The dress, my pearls and the process, 19th. We disregarded the 20th century with its faded Kodak colour snapshots entirely. It felt intensely romantic as I tried to summon up some authentic irritation at being made to stand for so long while the wet plates were prepared and rushed into the camera. But I could not feel irritated in the manner of my ancestors, coerced into posing. I felt intensely happy and engaged instead. Like them, I was wearing bits and bobs found around the place. Julia Margaret's Sir Lancelot, for example, wore the drawing coal scuttle on his head according to jokey family legend. In fact it looks more like an Hussar's helmet when I come to look at it now. I tried not to blink and held my breath. You would be surprised how long 16 seconds feels. Then out came the plate, off came the dress to protect it from chemicals, and I trotted after Mark to the dark room to watch the image emerge. We created seven images, which is apparently a lot. The portraits are often unforgiving. You can't hide anything when it comes to sunlight and wet plates. No selfie beauty mode or photoshop here. Not even your make up shows up. What does show is freckles, lines, character. 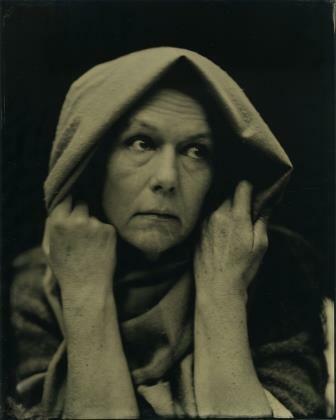 We did one image as a kind of Julia Margaret pastiche - a very unrepentant Magdalene wrapped in a pashmina. One was so overexposed that I should've been haunting some monstrous Victorian mansion. One was blotted and splattered in a very interesting way, like a constellation of black comets. In another my hair had magically grown even longer. Mark bathes the plates in lavender oil, and sets them with resins, so they exhaled the scents of the tomb. What did I feel afterwards? Gratitude to Mark that he could give me this ancestral wraparound experience of scents and sights and emotions. Happiness that Julia Margaret found creative fulfilment and persisted against opposition. Satisfaction that her husband loved her and supported her through her endeavours. And joy that we can look at her images today, and see what she was staring at so intently at exactly that moment in time. I also felt sorry for Garibaldi, who had Julia Margaret thrown off his yacht when she sought to take his picture. Her clothes were so stained with chemicals that he thought she was a dirty beggar. So his portraits are prosaic and dull. Idiot.